The heads of 30 African states met at Africa Hall in Addis Ababa, Ethiopia, 22 to 25 May, to discuss methods of achieving political and economic co-operation. The heads of states unanimously voted to establish an "Organization for African Unity" which would work towards the realization of African unity. Preparing the groundwork for the meeting, was the conference of African Foreign Ministers who met in Addis from 15 to 21 May. 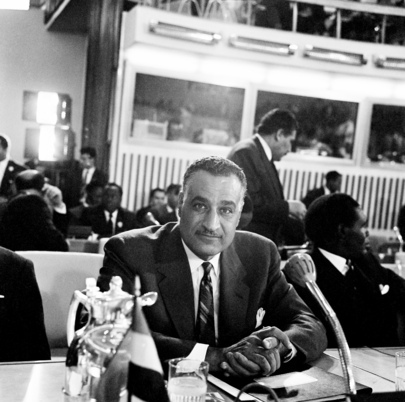 President Gamal Abdel Nasser of the United Arab Republic.